"64 oz. 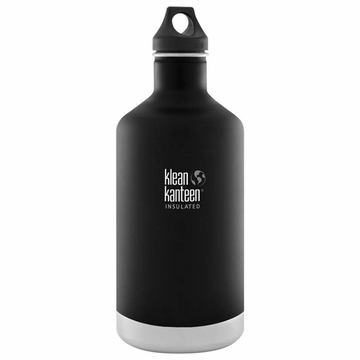 Perfect for a big adventure, or to use as a water bottle filler with a group. Durable, double-walled construction and vacuum insulation assures that beverages stay hot up to 6 hours, while iced drinks stay frosty for more than 24. Equipped with a leakproof Stainless Loop Cap, you can clip it onto your bag or throw it inside without a second thought. "